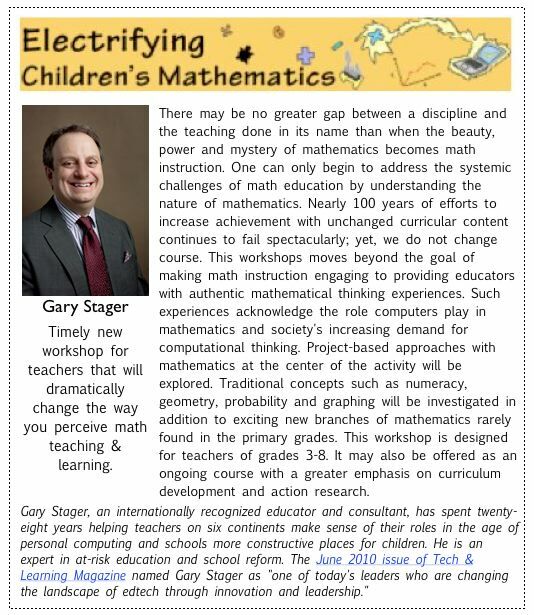 Gary will be describing a new workshop he has created that is most appropriate for the new vision of the Core Curriculum Standards in Math. 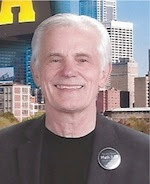 It's not business as usual; its a paradigm shift in how we learn math. 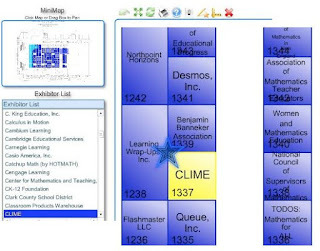 Right around the corner from CLIME is the new NCTM BuzzHub. is an open Wifi area and much more. There is no Wifi available in the conference rooms so the 'Hub is a good place to take advantage of it. Only other places where Wifi is available is in the concourses and the overlook area. 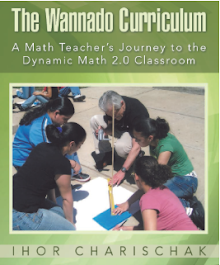 While in the 'Hub you can take advantage of other NCTM offerings described here. is hosting the Math Pop Forums in Booth 220 in the Exhibit Hall. Feel free to stop by, pick up some popcorn, listen to the short presentations and engage in conversations! Visit us at booth #902 in the Exhibitor Hall to check in with us and see what's new! You can play with Sketchpad, Fathom, TinkerPlots, browse activities, and ask questions in the booth, or we can direct you to excellent presentations on Sketchpad, Fathom, and TinkerPlots. Don't miss our annual Technology User Group meeting on Thursday evening! Join us in Salon H at the Philadelphia Marriott Downtown for drinks, snacks, and eye-opening presentations from your peers. Finally, you can learn more about the Dynamic Number project and KCP Technologies’ other NSF-funded project, Data Games. For more about their participation at NCSM and NCTM click here. Get the “Good Stuff!” Drop by and say hi and let us show you around! 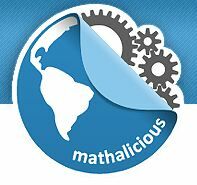 Visit our booth and get a personal tour of Mathlanding. Come with curiosity and questions, and leave with experience and answers. More to be added. Let me know if I leave you out.